Instant volume, epic lashes - Okay, so yes, this mascara does give you a more noticeably voluminous lashes. 1800% more volume - So, I think this one is a bit tricky to test, unless you have a magnifying glass of course. In the picture, only my top lashes have mascara, the bottom does not. So yes, while this is a distinct difference, I can't say it's an 1800% difference for sure. The look of false lashes I agree. 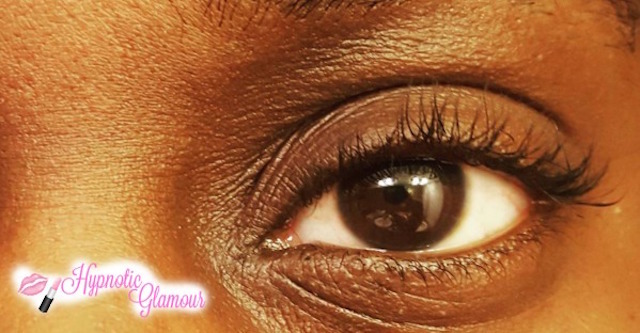 It does make your lashes more bold and stand out, like falsies do all the while you are still au naturale! Places the most volume at the hard to reach center lash line - I'm going to go with yes on this one. 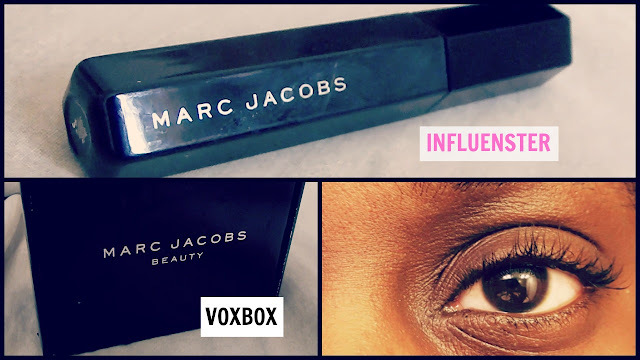 As you see, it looks like I'm wearing eyeliner to accompany this mascara but in fact, I am not! This is all the mascara's doing. Personally, I like that look. Creates instant smudge-free length and volume in three strokes or less - It does glide on quite nicely. As far as three strokes or less, I say sometimes I was satisfied in less than three strokes, and other times, I felt like I needed more. That could completely be dependent on my application though. So overall, I do like this mascara. The one thing I did not like is that I did experience some fall out. I wear hard contacts so anything that gets in my eyes hurts like heck. DISCLAIMER: I received this product for free from influenster for testing purposes.